The essay discusses two exhibitions featuring camps in the Soviet Union: the Museum of the Solovki prison camp (located on the Solovetskie Islands) and the Museum of the White Sea–Baltic Sea Canal (in the town of Povenets, Karelia). The purpose of this study was to explore differences in memory of the White Sea–Baltic Sea Canal and the Solovetskii Special Purpose Camp (SLON) through an analysis of two exhibitions. To achieve this goal, I developed my own methodology for working with museum exhibitions. One of the subjects of the analysis was the traditional division of actors in museum exhibitions about state violence and atrocities into executioners, victims, heroes, and observers. This study reveals that the same phenomenon—such as forced labor—existing in neighboring regions at the same time can generate different memories and different kinds of commemoration. These differences may concern the very fact of the existence of the camps, the size of the camp network, the goals and consequences of camps’ establishment, the role of Josef Stalin in the creation of the camps, evaluations of the prisoners and of representatives of authorities in camps. Both exhibitions recognize the existence of camps in the Soviet Union. However, other elements of the past are represented in different ways: In Povenets there is a heroic Soviet past and the canal is a symbol of the courage of Soviet citizens. On the Solovetskie Islands the camp is but one element in a larger camp system and the memory of SLON and Gulag is a tragic one. In a broader context, the significant differences in the two memories of Gulag testify to an ambivalent attitude to the past that exists in contemporary Russia. The Museum of the Solovetskii Special Purpose Camp follows the international discourse on totalitarian regimes. The museum in Povenets demonstrates complete isolation from modern approaches to the study of the Gulag. Thus, the two museums, whose narratives are concerned with the same phenomenon of the same period, show the camp past in very different ways. Lebedeva, Olga. 2018. “One Past, Two Memories: Comparing the Exhibitions at the Museum of the White Sea–Baltic Sea Canal and the Museum of the Solovki Prison Camp”. 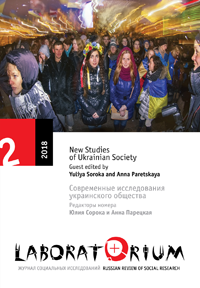 Laboratorium: Russian Review of Social Research 10 (2), 134-48. http://soclabo.org/index.php/laboratorium/article/view/753.